Parker Coatings, Inc. has been manufacturing high quality paint for the hunting industry since 1962. The rich history of "Parker" dates back to Ira Parker Paint company - 1875. Twilight Labs, the originators of UV reflective decoy paint formulated and patented the Uvision paint to match waterfowl feathers. The partnership of history and innovation is what makes these decoy paints the choice for your painting needs. not only to you, but also to waterfowl. 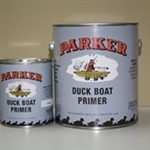 Parker's Duck Boat finish is a high quality, durable flat finish for use on duck boats, skiffs and canoes. It is formulated to provide excellent water resistance and weathering. Dries quickly no a non-reflective dull finish. Applies easily to any surface by brush, roller or spray. 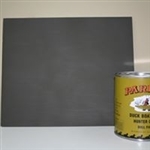 Available in the following natural colors: Marsh Grass, Hunters Green, Bay Gray, Dead Grass, Sand Tan Start your project off right with Parkers premium quality alkyd primer. Formulated for areas that required excellent adhesion properties and rust inhibitive qualities. Available in quarts and gallon sizes. Parker's Mallard Kit contains 10 colors, including 3 UV reflective colors. Enough paint is included to repaint 24 decoys. Parker's Canada Goose Kit contains 6 colors, including 3 UV reflective colors. Enough paint is included for 12 decoys.